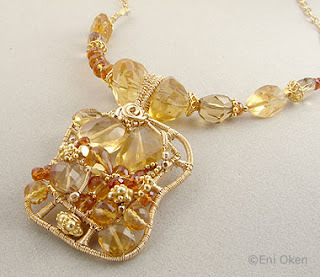 This is a modified and more organic version of the Mosaic pendant, it has an outer frame attached to the inner frame. The pendant measures 1-3/4" high, not including the woven bail. 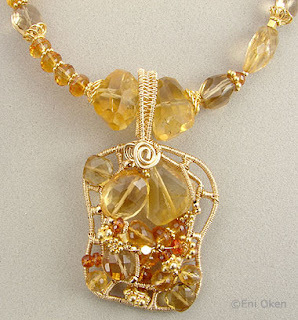 Goldfilled wire, AAA grade citrine and hessonite, madeira citrine, champagne citrine, vermeil beads.